The SABC says it’s in the process of reviewing the freelance contracts of on-air talent which will expire next month. The post SABC reviewing freelance contracts appeared first on SABC News – Breaking news, special reports, world, business, sport coverage of all South African current events. Africa's news leader.. 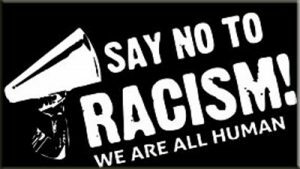 The Anti-Racism Network South Africa has launched the fourth Anti-Racism week for this year at the Constitutional Hill in Johannesburg. The post Anti-Racism Week launched at the Constitutional Hill appeared first on SABC News – Breaking news, special reports, world, business, sport coverage of all South African current events. Africa's news leader..
ANC president Cyril Ramaphosa has joined the nation in condemning what he calls bogus religious leaders who are not only taking advantage of gullible people but bringing religion into disrepute. 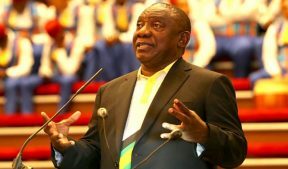 The post Ramaphosa condemns what he calls ‘bogus religious’ leaders appeared first on SABC News – Breaking news, special reports, world, business, sport coverage of all South African current events. 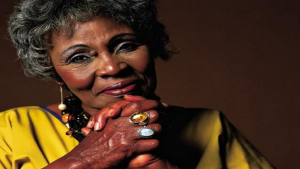 Africa's news leader..
At a moving church service, Jazz legend Dorothy Masuka’s family and friends paid tribute to her. The post Masuka remembered at a Church memorial appeared first on SABC News – Breaking news, special reports, world, business, sport coverage of all South African current events. Africa's news leader..
CAPE TOWN – “It’s going to take time to find out who these guys really are. Obviously I know they’re batting, and I know the older guys the ones I’ve played with and against. “But with some of the younger guys, I’ll only have some good information in about six months’ time, once I get to know the okes and have a feel for how things really are. “Test cricket is a hell of a tough game. Looking at one-day cricket, I can see someone like (Aiden) Markram coming in and making a big difference straight away. That was Dale Benkenstein upon his appointment as the Proteas batting coach on 19 November 2017. In essence, it is 15 Test matches, 21 one-day internationals and 10 T20 internationals ago. And in that period, South Africa’s batting has slumped to its greatest depths. So, how much more time does Benkenstein actually need to get a “feel for how things really are”? There have been factors that have been outside of Benkenstein’s control, such as the bowler-friendly pitches at home and, of course, AB de Villiers’ retirement after the Australian Test series last year. But can that really be an excuse for South Africa’s woeful batting displays over the past 15 months? The cold numbers read like a script from a best-selling Stephen King horror novel. Since November 2017, the Proteas have gone to the crease 29 times in Test innings. Only twice have they passed 400. The wounded Australians were the first victims during the final Test in Johannesburg, when they were still reeling from #SandpaperGate at Newlands the previous week, and then Pakistan this past New Year. Furthermore, they have passed 300 only five times. In fact, they have registered eight totals below 200, including five under 150! The ultimate humiliation was when they crashed to 73 in Galle last year. It was the national team’s record lowest Test score since 1956! Benkenstein spoke about knowing the “older guys” upon his appointment, but yet it is their performances that have dropped faster than the rand. Hashim Amla has averaged 26.07 since the former Dolphins captain entered the Proteas dressing-room, with his overall average heading southwards from 49.07 to 46.64. Equally, Dean Elgar – previously South Africa’s Mr Consistency – has plunged from 42.30 to 38.77. Captain Faf du Plessis continues the trend, with the skipper dropping from 46.54 to 42.95. Senior players such as Amla, Elgar and Du Plessis are often not in need of much “coaching”, but they do require meticulous planning and technical analysis from the support staff. Video analyst Prasanna Agoram has always been the ultimate professional, with Amla even publicly acknowledging his contribution after a century at Lord’s in 2012. That’s simply not acceptable in a professional environment. The Proteas’ white-ball numbers are equally mediocre. For a team that have posted the most totals – four – in excess of 400 on the top 10 list of highest ODI totals ever, it’s a concern that they have not touched that figure since “Benky” has been parading in the national tracksuit. In fact, there have only been two 300-plus totals, and five scores below 200 in the past 22 ODI innings. Once again, the Proteas also rewrote the record books for all the wrong reasons, with the hapless 118 against India at Centurion being their lowest ODI total on home soil. Even more disappointing has been the fact that despite Benkenstein “seeing Markram coming in and making a big difference straight away”, the prodigiously talented young batsman has fallen down the pecking order so much that he is in serious danger of missing out on a place in the World Cup squad later this year. It is decision time for the suits at Cricket South Africa. Either return Benkenstein to the valleys of Hilton College to continue coaching schoolboy cricketers, or provide him with assistance in the same way Charl Langeveldt was called up to help Allan Donald in the bowling department ahead of the last World Cup. Either way, something has to be done. It simply cannot continue in its current state. Sports Minister Thokozile Xasa has again strongly criticised the new regulations of the International Association of Athletics Federation. The post Xasa fiercely defends Semenya in Parliament appeared first on SABC News – Breaking news, special reports, world, business, sport coverage of all South African current events. Africa's news leader.. The Mokgoro Enquiry, which began six weeks ago, has concluded its hearings in Pretoria. 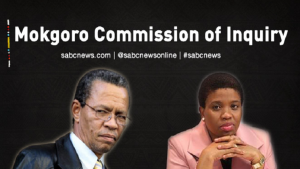 The post Mokgoro Enquiry concludes hearings appeared first on SABC News – Breaking news, special reports, world, business, sport coverage of all South African current events. 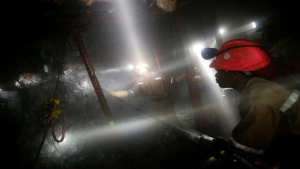 Africa's news leader..
President Cyril Ramaphosa will launch the International Labour Organisation’s Future of Work Report in South Africa on Friday. The post Ramaphosa to launch ILO’s Future of Work Report appeared first on SABC News – Breaking news, special reports, world, business, sport coverage of all South African current events. Africa's news leader.. 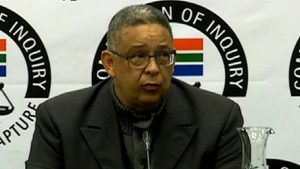 Independent Police Investigative Directorate (IPID) head Robert McBride has filed an urgent interdict in the High Court in Pretoria to have his contract renewed. The post McBride files interdict to save his job appeared first on SABC News – Breaking news, special reports, world, business, sport coverage of all South African current events. Africa's news leader..
Children are a wonderful gift, bringing joy, laughter, and love. But, then there are the toys, the sleepless nights, the constant barrage of “why?” questions and the plethora of sticky handprints. For many parents, the decision to have a second child is made with the expectation that two can’t be more work than one. But our research on parents shows this logic is flawed: second children increase time pressure and deteriorate parents’ mental health. Our study followed roughly 20 000 people for up to 16 years. The goal was to see what happens to parents’ time pressure and mental health as first children are born, age and new siblings arrive. We weighed two main questions that many parents ask themselves when making the decision to have a second child: Do things get better as children grow older, sleep more and gradually become a bit more independent and robust? Or does a second child add to what may already be a highly stressed and time-poor household? The most ambitious discussions about having second children occur during a date night, in between the first and second bottle of wine – where the short and long-term impacts of children peer out from the distant future. These tensions between the short- and long-term impacts of children tap into what social scientists call the stress process model. In this perspective, major life events can increase stress either in the short-term, as an eventful experience, or as a chronic strain, with effects that linger over time. Health researchers show that chronic stress is the most detrimental to health and well-being, contributing to cardiovascular disease, obesity and other major diseases. We are not arguing that children lead to heart disease – we have our Western diets to thank for that – but rather pose the question of whether the birth of first and second children has short or long-term effects on parents’ time pressure and, because of that, mental health. The birth of a first child introduces adults to a new role – that of parent – that comes with expectations about how to allocate time to work or family. Following childbirth, many mothers take a year of parental leave. Some return to work, but others do not. Most fathers maintain full-time work after children are born, in part to make up for mothers’ employment reductions, but also because parents become more traditional in their gender roles following childbirth. Mothers and fathers are more likely to believe that women should stay home to care for children once they become parents than when they were childless. As a result, the bulk of the childcare falls to mothers. Second (and third) children do not introduce a new role into parents’ lives, but rather increase the demands of the parent role. In theory, parents of second children have developed parenting skills – including how to clean a bottle while rocking a baby, and to never buy expensive dry-clean-only clothes again. These parenting skills may mean that second children bring less time pressure and stress than first children. Our results, however, do not support this claim. Prior to childbirth, mothers and fathers report similar levels of time pressure. Once the first child is born, time pressure increases for both parents. Yet this effect is substantially larger for mothers than fathers. Second children double parents’ time pressure, further widening the gap between mothers and fathers. Although we hoped parents’ time pressure would diminish over time – as they gained more skills or kids entered school years, we found that time pressure lingered. We also thought that parents working full-time or those doing most of the housework would be the ones experiencing increased time pressure. Instead, we found that time pressure increased with first and second children for all parents, whether they were working or not. Thus, reducing work to part-time is not a solution to this time-pressure problem. Parents of third children fare no better, indicating that children are not economies of scale. To better understand the health implications of parents’ increased time pressure, we also looked at their mental health. We found that mothers’ mental health improves with first children immediately following birth and remains steady over the next few years. But, with the second child, mothers’ mental health sharply declines and remains low. The reason: second children intensify mothers’ feelings of time pressure. We showed that if mothers did not have such intense time pressures following second children, their mental health would actually improve with motherhood. Fathers get a mental health boost with their first child, but also see their mental health decline with the second child. But, unlike mothers, fathers’ mental health plateaus over time. Clearly, fathers aren’t facing the same chronic time pressure as mothers over the long-term. Transport Minister Blade Nzimande has called for the transformation of South Africa’s maritime sector. He was speaking in Durban at the first of a series of dialogues that the transport sector and stakeholders have hosted. 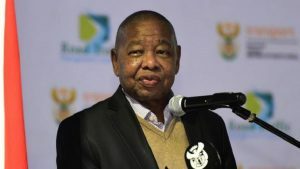 The post Nzimande calls for SA’s maritime sector transformation appeared first on SABC News – Breaking news, special reports, world, business, sport coverage of all South African current events. 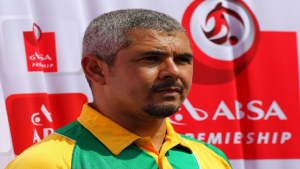 Africa's news leader..
With about nine matches remaining, the battle for Absa Premiership survival intensifies, none of the bottom six teams is safe from relegation at the end of the season. The post Chippa United out to avoid relegation appeared first on SABC News – Breaking news, special reports, world, business, sport coverage of all South African current events. Africa's news leader..
Six homesteads have been torched in a feud between residents of Zitha and Sicambeni villages outside Lusikisiki in the Eastern Cape. 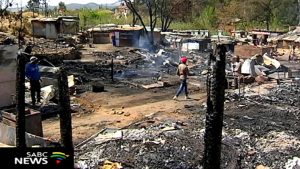 The post Homesteads torched in a feud over demarcation appeared first on SABC News – Breaking news, special reports, world, business, sport coverage of all South African current events. Africa's news leader.. The South African Medical Association (Sama) on Thursday threw their weight behind double Olympic 800m champion Caster Semenya, urging the International Association of Athletics Federations (IAAF) to change their stance. “We support Ms Semenya in this legal battle and look forward to a successful outcome for her. “We urge the IAAF to reconsider their stance on this issue, and to rely on better and more extensive research emanating from the world’s greater medical community,” said Sama chairwoman Angelique Coetzee in a statement. Sama believed the science used by the IAAF to prop up their proposal to restrict female athletes’ testosterone levels competing in events between 400m and a mile was flawed. “We are concerned that the arguments by the IAAF for regulating testosterone levels in such athletes are most likely based on a single, flawed study in which reporters were highly conflicted,” said Coetzee. “Sama urges medical scientists and doctors involved in the IAAF’s medical procedures and tests to pay due regard to scientific rigour, evidence-based practice and medical ethics. Testosterone is a hormone that increases muscle mass, strength and haemoglobin, which affects endurance. 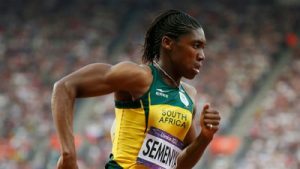 Semenya has a condition called hyperandrogenism, which means her testosterone levels are naturally elevated. If the IAAF gets their way, Semenya would be required to take medication to reduce her testosterone levels. The Court of Arbitration for Sport (CAS) is set to deliver its ruling on Semenya’s appeal of the IAAF proposal on March 26. Amelia Japhtha is the winner of the #MyHeart campaign – we loved her heart-warming story of her sister being her hero. Nothing spells romance quite like a weekend away with that special someone in your life and i n the spirit of love, Protea Hotels by Marriott is giving Amelia and her sister a two-night stay at any of their hotels across South Africa. Our mom passed away due to heart failure when I was only 6 years old. My sister, 16 at the time, left school and luckily found a cleaning job. With that little money, she put me through school, fed me and did every possible thing a mother would do for her children. It was really hard on both of us especially my sister but she pulled through because in her heart she had to take care of me. My sister is my pillar of strength, my mother, my sister, my hero and my life and I’m so Blessed to have her in my life. She deserves only the best and if I’m one of the lucky winners, I would definitely give her the prize to Thank her for everything she has done for me throughout her life. I love my sister very much. Whether it’s an urban escape, going off the beaten track or a romantic seaside soiree you’re after, Protea Hotels by Marriott has just what you’re looking for. Visit protea.marriott.com/valentines-day for some unbelievable couple’s experiences and imagine the possibilities this Valentine’s month. Justice and Correctional Services Minister Michael Masutha says the construction of the High Court in Mbombela, Mpumalanga, is almost complete. 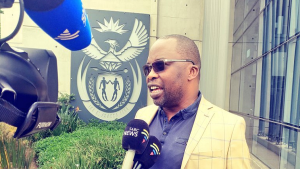 The post Masutha says Mpumalanga High Court is nearing completion appeared first on SABC News – Breaking news, special reports, world, business, sport coverage of all South African current events. Africa's news leader.. 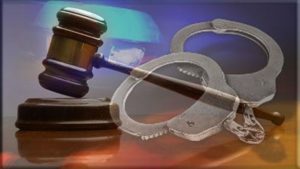 The 17-year-old learner, who stabbed his teacher to death at Ramotshere secondary school in Dinokana near Zeerust in the North West, has been sentenced to ten years in jail. The post Zeerust learner who killed teacher sentenced to 10 years appeared first on SABC News – Breaking news, special reports, world, business, sport coverage of all South African current events. Africa's news leader..
United States (US) car company, Midway Rent-A-Car, has slammed rapper Tyga with a lawsuit after it was revealed that he owes at least 130-thousand-dollars. 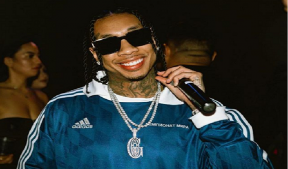 The post Company car slam Tyga with lawsuit appeared first on SABC News – Breaking news, special reports, world, business, sport coverage of all South African current events. Africa's news leader..